Templed out? 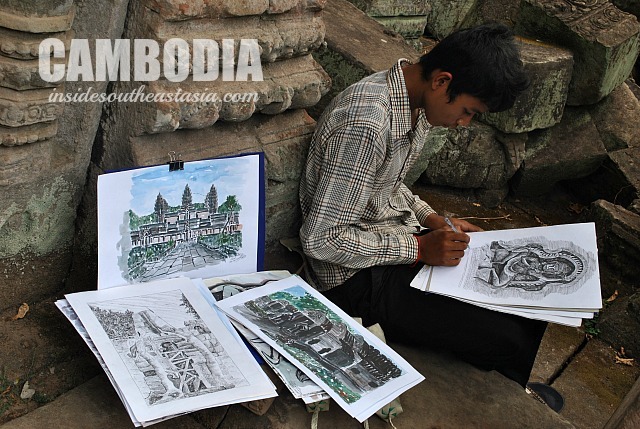 You probably heard of Ta Prohm, Angkor Tom, Phonm Bakeng, Banteay Srey and the iconic Angkor Wat. These are the more popular temples in Angkor City that when you hire a tuktuk to tour this vast city of the ancient Khmer empire, the driver will most likely bring you to these temples. When I visited Cambodia summer last year, I got 2 weeks to spend so I bought a three day ticket to explore the temples by bike. I would not really suggest that you do the same for your entire visit to this ancient Khmer empire because it can be very exhausting since Angkor ruins covers a huge area of the city not to mention the unforgiving sun. But if you have the luxury of time you can also check out these not-so-famous temples in the area. One my personal favorite is an intriguing and unique temple called Neak Pean, also referred to as the “The Entwined Serpents” because of the curved of nagas (snakes) running around the base of the temple structure representing the naga kings Nanda andUpananda. There are conflicting theories as to why it was built. Some say that in the 12th century, King Jayavarman VII is said to have ordered the construction of a vast reservoir to provide water to its hundred-thousand support workers. While others believe it was built as a replica of Lake Anavatapta in the Himalayas. In Buddhist belief going into these pools would balance the elements in the person, thus curing illness. This temple is similar to its more famous cousin Ta Prohm due to the trees and shrubs growing with the gopura. 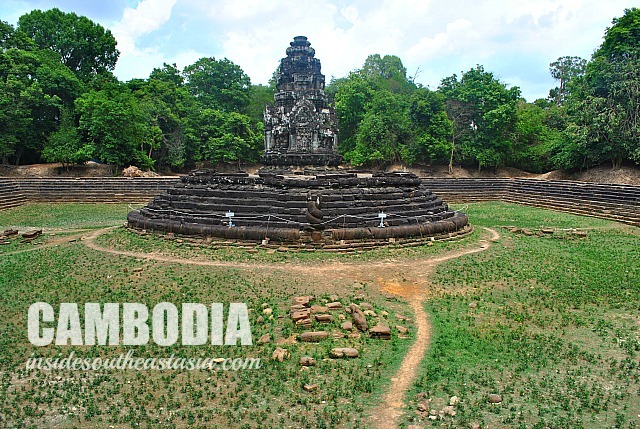 It was built by King Jayavarman VII for his father Dharanindravarman II. The main tower surrounded by four pavilions is still standing although most parts are already left unrestored. Another personal favorite is Preah Khan, due to its scenic two story library, the House of Fire and a stupa in the middle of the main temple. 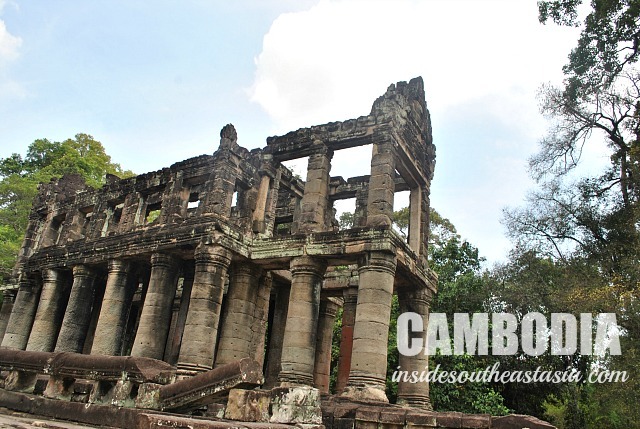 You can climb the structure fronting the library to get a panoramic view of the Preah Khan. Most of the laterite walls, hallways and galleries are in a state of ruin and some has been eaten out by huge trees. Known as the “Citadel of Chambers”, this temple is quite similar to Bayon style due to the four-faced tower gate design. To get to the next tower gate, you need to walk in a serene forest. The hallways are decorated with frescoes of dancing Apsaras but most of its pillars and walls are heavily ruined which is said to be caused by manufacturing defects. A map would be helpful for the tour to avoid being lost and to maximize your time. 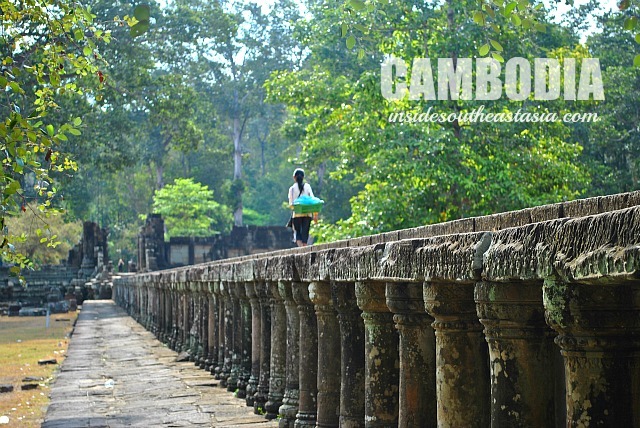 You can visit these lesser known temples while the rest of the tourists are following the usual route – sunrise at Angkor Wat, sunset at Phnom Bakheng, and touring Bantey Srei, Angkor Thom, and Ta Phrom between sunrise and sunset. Like any other visit to ancient empires, before considering a visit to the ancient Khmer kingdom, it is essential to read and get some basic understanding of Hindu and Theravada Buddhist belief. To avoid being templed out, it is advisable to mix temple hopping with other activities like visiting the countryside, the museums, art galleries, and orphanages. But if you do get templed out, don’t be guilty as most tourists do.